You are here: Home › Further Reading › JFK Assassination FAQs › What Caused Connally’s Lapel Flap? What Caused Connally's Lapel Flap? The lapel flap in frame 224 of the Zapruder film occurs when Kennedy is already reacting to a wound, and so cannot have been caused by the bullet which hit Kennedy. It was probably caused by nothing more sinister than a gust of wind. The Warren Commission’s case against Lee Harvey Oswald as the lone assassin of President Kennedy demanded that all the wounds to JFK, Governor John Connally, and James Tague must have been caused by the three bullets whose empty shells were discovered on the sixth floor of the Texas School Book Depository. One bullet was required to account for President Kennedy’s fatal head wound, and one bullet for James Tague’s wound. That left one bullet to account for all of JFK’s and Connally’s non–fatal wounds: the single–bullet theory. and several of the closest witnesses, including Governor Connally himself, claimed that Kennedy had already been wounded by the time a bullet struck Connally. The witnesses’ evidence was supported by the Zapruder film, which became known to the public following its broadcast on national television in the mid–1970s. The film shows President Kennedy clearly reacting to his throat wound as he emerges from behind a road sign at around frame 224. Connally, however, does not show any signs of being wounded until around frame 238, more than half a second later. The blatant implausibility of the single–bullet theory helped to form the popular consensus that the assassination had been the result of a conspiracy. In the early 1990s, however, supporters of the lone–nut explanation discovered evidence that Connally may in fact have been wounded at the same instant as Kennedy. Frame 224 of the Zapruder film shows the right lapel of Connally’s jacket flapping once, as though caught in a gust of wind. Since Kennedy and Connally were less than two feet apart in the car, the bullet, with an initial muzzle velocity of more than 2,000 feet per second, passed through them almost simultaneously, at frame 224. The same claim was made by another prominent lone–nut supporter, who took the trouble to construct an experiment to test the proposition that a bullet passing through two bodies would cause injuries similar to those sustained by Governor Connally as well as similar movement of a jacket; see John K. Lattimer, ‘Experimental Duplication of the Important Physical Evidence of the Lapel Bulge of the Jacket Worn by Governor Connally When Bullet 399 Went Through Him’, Journal of the American College of Surgeons , vol.178 issue 5 (May 1994), pp.517–521. The experimental results were criticised in a paper by Cyril Wecht and Wallace Milam, ‘The Great Lapel Flap: A Rebuttal of John K. Lattimer’s Interpretation of the Kennedy and Connally Wounds’, available at http://jfk.hood.edu/ (PDF, 1.6MB). In addition, Lattimer claimed that damage done to a rib in the shooting of the mock–up is comparable to actual damage to Governor Connally’s rib, and that bullet holes created in the test clothing closely match the defects found in Governor Connally’s shirt and coat. It is our contention that a close examination of Dr Lattimer’s experiments, instead of proving the simultaneous wounding of Kennedy and Connally at frame 224, actually shows that such a double wounding was impossible. When Was President Kennedy Shot? 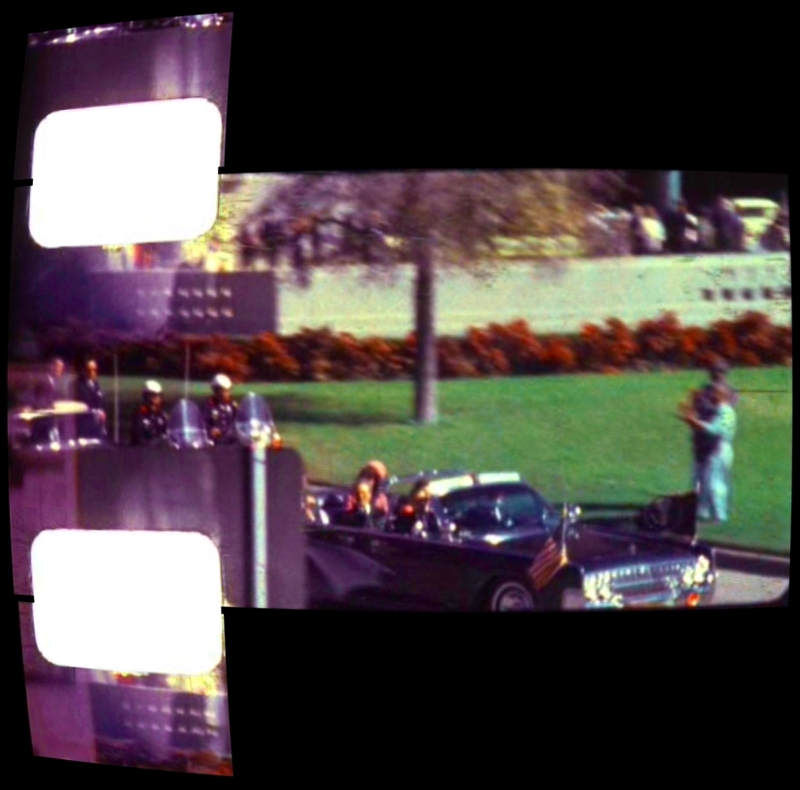 Frame 224 is the first frame in which JFK becomes visible to Zapruder’s camera after passing behind a road sign. Kennedy’s left arm is raised, with his hand reaching toward his throat. Posner and Lattimer are surely correct to conclude that this unnatural posture must have been a reaction to a wound. The reaction cannot, however, have begun at frame 224. Experiments carried out for the Warren Commission at Edgewood Arsenal determined that a bullet fired from the rifle discovered on the sixth floor of the TSBD, having passed through Kennedy’s torso, would be travelling at about 1379 feet per second, and would have hit the front of Connally’s jacket about 0.002 seconds after wounding Kennedy. Two milliseconds is far too short a time to allow Kennedy to react to a wound. The instant at which President Kennedy was actually shot in the throat or the back is a matter for speculation. 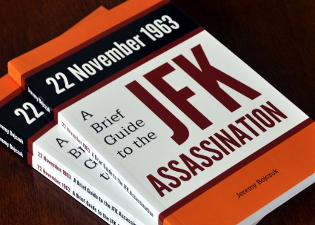 The Warren Commission assumed it was at frame 210, when Kennedy first becomes visible from the sixth–floor window after being hidden behind a tree ( Warren Report , p.112). and that if a bullet passed through Governor Connally’s torso at frame 224, that bullet cannot also have wounded President Kennedy. Lattimer’s experiment caused “flying fragments of rib, marrow and soft tissue” to exit the equivalent of the chest area of his model. 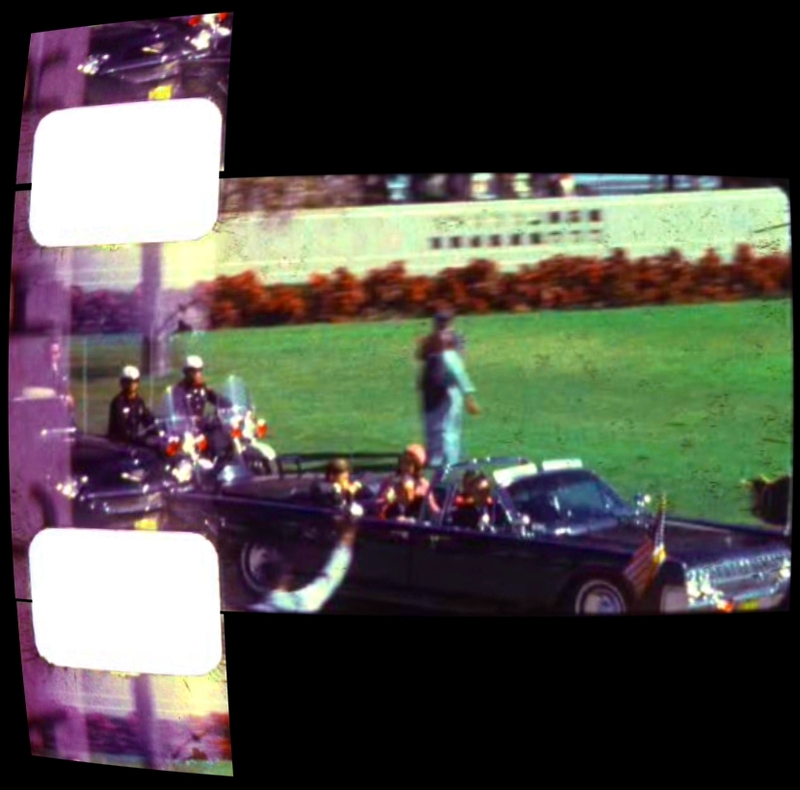 Contrary to Lattimer’s claim, however, the relevant frames of the Zapruder film, nos. 224 and 225, show nothing resembling “a cloud of bloody soft tissue and rib fragments”. in the actual assassination, a transiting bullet would have produced debris not only from dried ribs (as in Lattimer’s test), but from blood and other chest tissues as well, so that the resulting spray should have been far more conspicuous than is seen in Lattimer’s test. The absence of any such spray at frame 224 is persuasive evidence that no such chest shot occurred at that point. In the experiment, a bullet fired through a simulation of JFK’s neck and Connally’s torso produced a hole 3 centimetres wide in the front of the jacket, which allowed the white lining to become visible. In the Zapruder film, the lining is not visible. The hole in Connally’s jacket was only one centimetre in diameter, the same size as that produced when Lattimer fired a bullet only through the simulation of Connally’s torso. Lattimer’s experiment removed 4½ centimetres of rib, rather than the ten centimetres destroyed in Connally’s rib. Wecht and Milam point out that Connally’s ribcage was “held in place by muscles, ligaments and connective tissues”, and could be expected to have sustained less, not more, damage than the experimental version. The experimental shirt was, in Lattimer’s words, “peppered with small holes from the rib fragments”. Connally’s shirt had only one ragged hole. In the experiment, the tie was thrown forward almost to the level of the face. The Zapruder film shows no movement in Connally’s tie. These inconsistencies suggest that Connally was not injured by a bullet passing through his torso at frame 224. Records at Love Field airport, close to downtown Dallas, show the steady wind speed to have been around 13 knots, or 15 miles per hour, with gusts ( HSCA Report , appendix vol.8, pp.173–182). Films and photographs of the motorcade show the flags on the presidential limousine flapping, and several of the occupants holding onto their hair and hats from time to time. In conclusion, the experimental evidence refutes rather than supports the notion that President Kennedy and Governor Connally were wounded almost simultaneously at frame 224 of the Zapruder film. The single–bullet theory remains just as implausible as ever. David Wimp has put forward the interesting idea that what appears to be the flapping of Governor Connally’s lapel is merely light reflected from the handrail in front of Connally: http://joliraja.com/lapelflip/lapelflaptd.htm. How Thorough Was the Warren Commission Investigation?